Founding Fathers might need to find some flavor. The can looks great. George Washington striking a dignified pose. Thomas Jefferson on one side and Benjamin Franklin on the other. 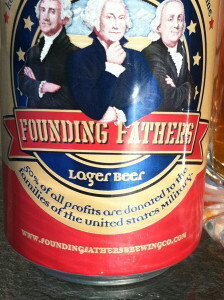 This has to be a good beer, right? 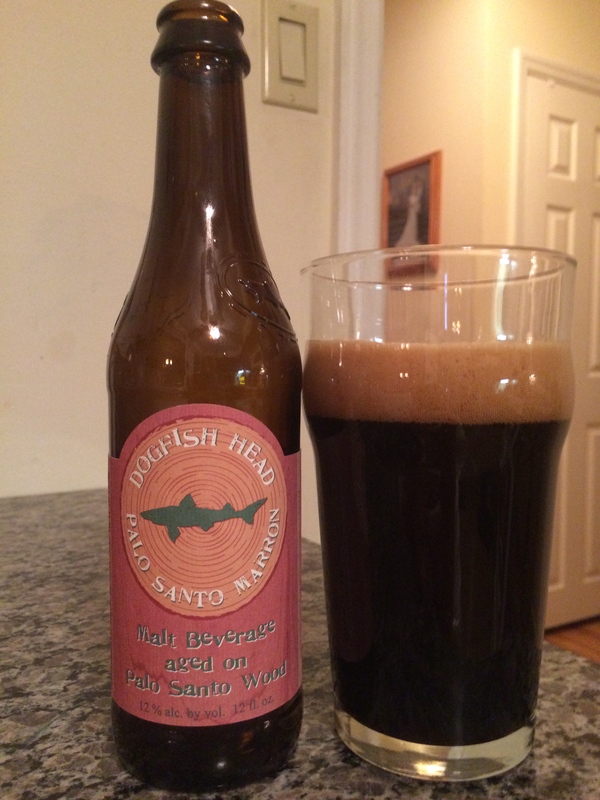 In the mug, the head was small, white in color and fizzy and the carbonation was soft. The clarity was clear with a gold body color. The aroma was more malt and grains. There is no hop aroma at all. The taste of the beer…….well there isn’t a heavy malt presence. 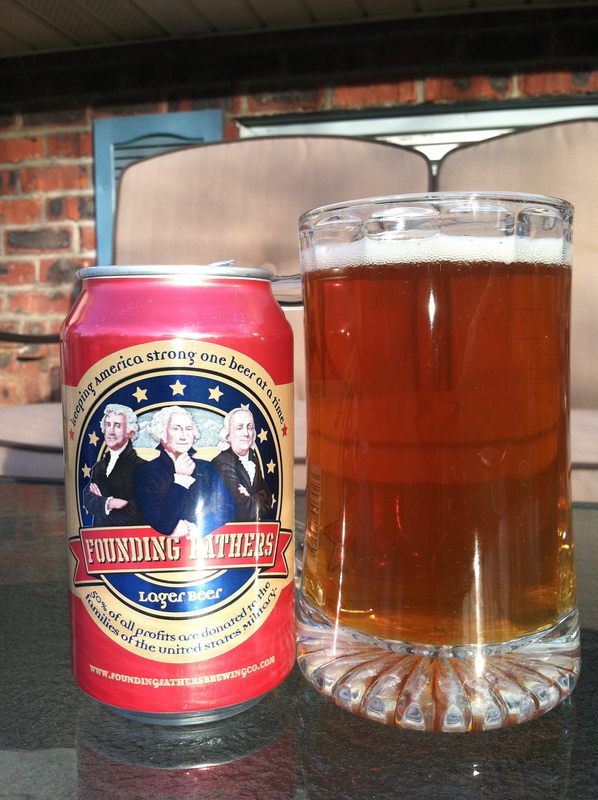 There is a slight taste of biscuit and hints….hints of caramel malt. But not much. There isn’t any hop taste either. To be honest there really wasn’t much of a taste to this beer. It is easy to drink and has a very short finish. This would be a session beer if you wanted to pound them down on a hot day. One after another after another. But the whole reason to drinking a beer is to enjoy the taste of it. That being said, this beer is still an upgrade from Coors, Miller and Budweiser. 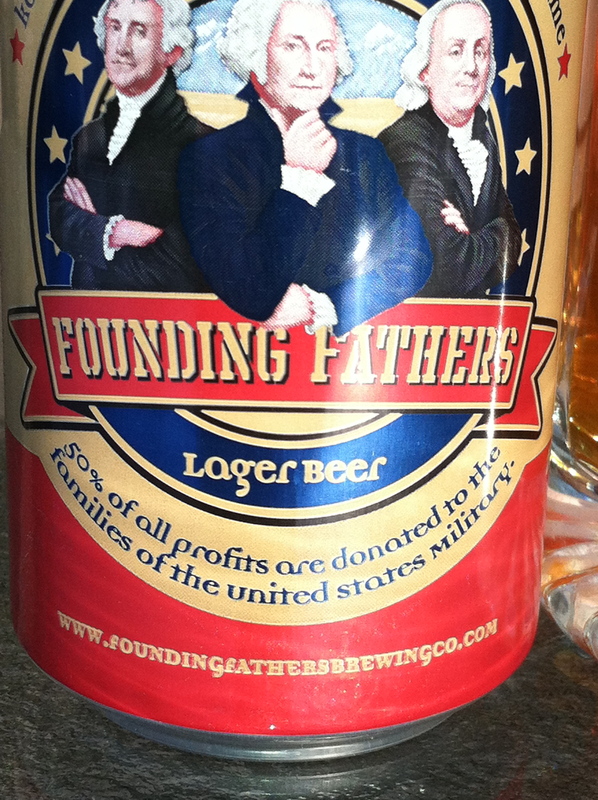 I hate to write this but the best thing about this beer is that 50% of the profits are donated to United States military families. That is a great cause but not enough for me to by another case.